Here’s what’s up in the world of TV for Monday, April 17. All times are Eastern. 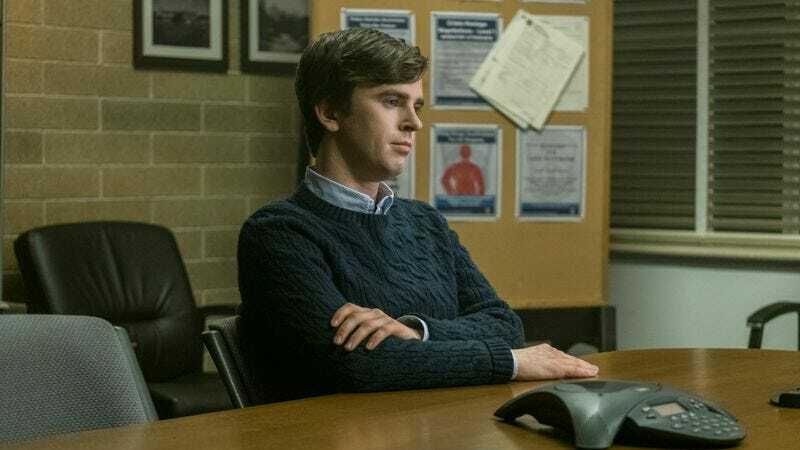 Bates Motel (A&E, 10 p.m.): Though we’re now only two hours away from its resolution, Bates Motel makes time for “Visiting Hours” in the final episode before the series finale. Norma(n)’s had his fingerprints and mugshot taken, and is preparing to stand trial. Romero’s not really inclined to let a jury of the hotel proprietor’s peers decide his fate, though. And Dylan’s still stuck in the middle. Nova: Secrets Of The Viking Sword (PBS, 8 p.m.): With American Gods now just two weeks away, we’ve got Nordic seafarers on the mind. This Nova documentary traces the origins of the Ulfberht sword, a state-of-the-art weapon that was well ahead of its time. There’s even an attempt to reverse engineer the fearsome sword.